Salon-approved to straighten and smooth hair and create luscious curls, twirls or flicks, these latest ghd ceramic hairstyling irons feature unique built-in microprocessors which conduct heat quickly and retain it more effectively. The result? Instant long-lasting heat for optimum styling control. Plus the advanced infra-red heat actually protects your hair by sealing in its natural oils, moisture and hair colour guaranteeing you beautifully straight hair with an attractive healthy shine. Every ghd hair styling iron incorporates the same revolutionary ceramic technology and offers the same superb styling control. When working in a salon as a stylist, you get plenty of exposure and experience with a wide variety of styling tools as they appear on the market. I had the privelage of testing out flat iron brands from Igia, CHI, Cloud Nine, Tony & Guy, Silver Bullet, Jaguar and more. Nothing comes close to the GHD flat iron. It realy emphasizes on GOOD HAIR DAYS. When correctly used and with the correct heat protection products, the hair realy stays straight until your next wash. Even clients with extreme coarse and curly hair can confirm. And if you use it to make curls, whether loose beach waves or tighter curls, again with the correct products used, the curls stays put for days and if you sleep lightly it will last untill your next wash. My first GHD lasted 10 years and was used on a daily basis in a very busy salon. It is a great investment and worth every cent. It also smoothes down the hair cuticle hence you get added shine. A must try for all creatives who loves experimenting with hair styles. The mini GHD works great on gentleman and any short hair cuts as well. The first one is the best one and I am already on my second only because I had forgot the first one abroad when I was traveling and in between this I was gifted the cherry bloom edition but the first original one is still the best one for me! Always has and always will be my all time favourite straightener. The GHD I find does not damage my hair although I do refuse to use any heat on my hair without a heat defense spray. That said, this piece of gold needs one slide per section of hair to deliver perfectly straight locks with an added shine. I have had my hair iron for almost 7 years now so the quality it cannot be questions although sometimes the plates do you need to be replaced. 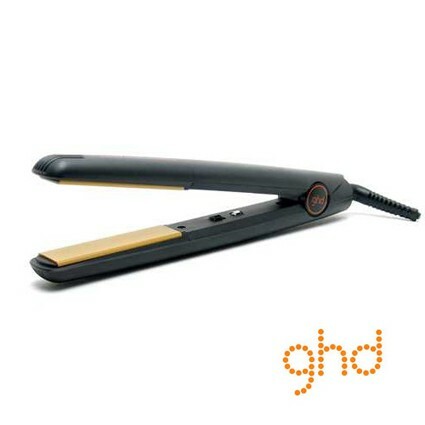 I bought my GHD many years ago and still love it! I don't use it every day, maybe once a week. Only negative about my GHD is that when I bought it, it had like a loose connection and had to send it in to be repaired and now after a couple of year it start doing it again. Other that that, it is a great product if you want straight hair. I can really recommend the product although it is expensive it is an investment for a lifetime! If ever there was a product I would have to recommend as a lifetime investment then it would be this hair iron. GHD has saved me on my many bad hair days! I've had mine for just over 5 years and it has served me well. It stays sleek for the whole day and very minimal touch ups are required for the rest of the week. I have been using this hairstyling iron for many, many years. It has lasted so long! My hair is very stubborn, curly and prone to damage. This iron straightens my hair within minutes and it is super soft afterwards. I do not feel it tugging on my hair either, as other irons do. This will always be my go-to hairstyling iron. Despite being on the pricey side GHD continues to wow without restraints!!! I have naturally straight hair and barely use my hair straightener simply because my hair becomes flat. I have used it to curl my hair and was pleasantly surprised at the outcome! My mum on the other end of the spectrum had very curly hair and she used the straightener quite often. In the past 5 years I have not had a single issue with the hair straightener which is why I believe that despite it being pricey it's well worth the investment!!! I've probably had my GHD for about 6/7 years now and it's still in fantastic condition. Granted, I only use it about twice a month because I prefer to leave my hair natural, it's been with me on weekends away and trips overseas. I love that when I do use my GHD, a few swipes and less than 2 minutes later my hair is sleek and shiny and I am ready to head out. I don't enjoy curling my hair with the GHD though, I find that it's more time consuming than using a traditional tong. I suppose it's also because my hair is very long so it's not as practical to curl with. Every girl needs to have a GHD in their life. GHD should be name the transformer. it leaves my hair looking silky and gives it the volume i want to get form using a straightener. It is efficient and does not disappoint. good bye bad hair days, hello silky straight hair. since i stated using my sisters i don't think i will be going to the salon to style my hair anytime soon. I dont own one, i use my mother-in-laws. This device works wonders!! fixes bad hair days in a few minutes. Over using causes ladies with curly hair to lose your curl though. I use it only when i need to. I have used different flat irons from friends and family, and still to me GHD comes out tops! So I have had my GHD for around 7 months now. Unlike the other ladies I have pin straight hAir, that would not hold a style and only parted the way it wants to that is a middle path and had no life or volume. I have had my GHD since I started high school. Which means I have had it about 8 years now and it is still lasting. So if you are thinking that a GHD is pricey, it is worth the investment. My hair always looks beautiful and sleek when I use my GHD and it does not damage my hair. One of the features of the GHD that I love is that it powers down by itself if you leave it on without using it for too long. This is perfect because I am always in a hurry and when I get home I realise I had left the GHD on. Its also very simple to use. There are no temperature dials or anything. You simply switch it on, wait a few seconds for it to heat up and then you use it. It versatile because you can use it for more than just straitening your hair. I love GHD curls so much. They are soft and you have more control than when you use a curling iron. The GHD also comes in three different sizes. Best GHD ever made. My hair was straightened for a party and the next day I could still feel and see that it was still straight. Obviously a bit pricey but hey you will be paying for excellent quality. Once upon a time, a shy frizzy-haired high school girl discovered a magical tool that changed her life forever. Like a magical wand left behind by a fairy godmother, this princess was transformed forever- inside and out. Many girls are gifted with beautiful locks and the ability to create great hairstyles- I was never one of them. Well, I thought I was until I was given the gift of a GHD. Styling has never been been easier with this product which is versatile, user friendly and effective. GHD should stand for Great Hair for Dummies. The more you use a GHD, the more experimental you become as options seem endless and nothing seems impossible. MY GHD became my best friend and my whole world shattered when I found out that my bestie reached the end of it's lifespan- which turned out to be 5 years-much longer than any other hair iron I have owned. Im comparison to other hair irons, there has never been a more dynamic hair utensil. While there are many technical reasons as to why this hair iron is superior to others I can only think of one word to describe GHD: MAGICAL. That's how I will always perceive GHD. I have had my GHD since high school, hmmm... that makes it 5 years! The title GOOD HAIR DAY says it all. Since then i have never had a 'bad' hair day. i was skeptical but my sister had ought one the year before and i saw the results! i started going to her house everyday to use it. But Christmas time was definitely GHD time! 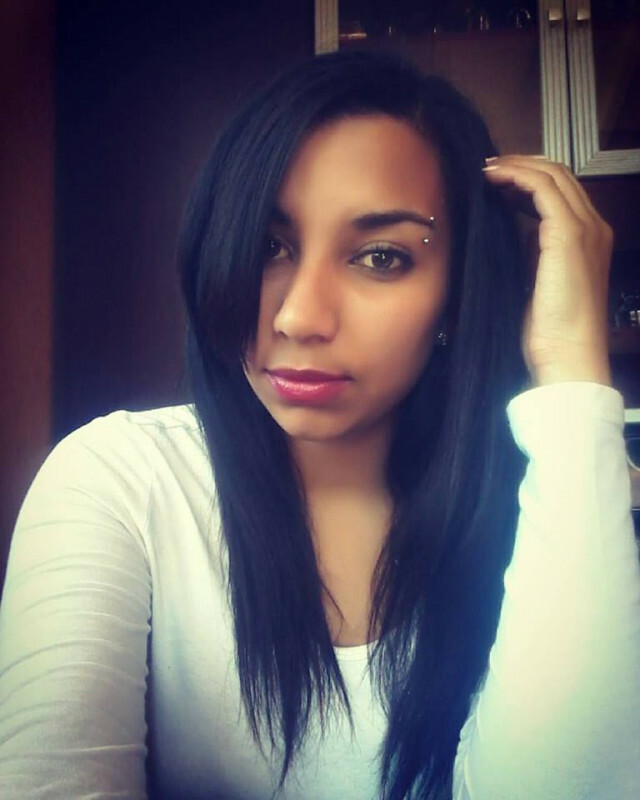 I love to try new hair styles and this product really gave me that opportunity. my hair naturally is really curly and sometimes it gets frizzy, even after a blow dry! I have no idea why some people still don't have a GHD, first impressions are everything to women who are working or even at varsity. it helps me look professional with loose curls or straight hair and sometimes even a little fun with beach waves. I love trying new styles, and GHD allows me room to do that without damaging or burning my hair. My hair has always been fragile or brittle and dry, but the ceramic plates leaves my hair with a healthy shine even when it isn't. It is true i really want another ghd because my mom is travelling a lot lately and she needs one of her own. I would love to surprise her with this special gift, but as i am a student i can not afford it. My hair would really benefit from a GHD styler as it is curly and would like a nice straight style without it still being slightly frizzy. Think this one should be on my christmas list. Have my GHD now for 4 years and absolutely will NOT use any other hair iron. By the GHD not having a heat setting, initially made me sceptical about the quality of the product and I was afraid of drying out and burning my hair. I was amazed as to how shiney and smooth my hair was after such little use. Like with all heat tools, I use a heat protector spray and have never experienced my hair drying out. my friends and i used to iron our hair with an iron (stone) to straighten it, we did the best at that time, was a bit dry though. but technologies gone further to produce the revolutionary ghd. you do not have to use serum, it just gives you that beautiful straight and silky hair. your hair remains shiny, it does not burn. it is a bit pricey, but, you do not have to go to the salon for that great looking hair. i am still amazed at the results. it makes you feel, and look beautiful, round the clock. i really do not know what i would do without my ghd. i just love it!!!! The GHD has truly revolutionized DIY haircare in my opinion. I used to watch my friends blowdry their hair for (literally!) hours, slaving infront of the mirror, to get their hair as straight as can be. I sat for hours with my hair in curlers trying to achieve the look I wanted. The GHD has done more than make hairstyling easier, it has made it a pleasure. If you want to straighten, curl or even crimp your hair (if you're into that sort of thing)- you can. The GHD has simply made the process faster. I love that if I'm feeling lazy, I can shower in the evening and GHD all the "bed hair" out of my hair in the morning. Other straighteners fry your hair and leave it looking dry. Through some sort of miracle, the GHD leaves your hair shinier than any shampoo can achieve. In short, I love my GHD! I don't have a ghd i've always wanted one, I used my friend's one couple of weeks ago and the way it styled my hair, not one hair styling tool could do that, you don't have to wait hours for it to be hot so that it can kind of make your hair straight, it works on the spot and effectively, I was really impressed with it, and what I like is it makes your hair soft as well, your hair looks neat, and it gives your hair volume. I have wavy type of hair which is not dead straight or curly so it is kind of inbetween so i have to either curl it or straighten it. I'm sure many of you know this but a staightner can be used for both straigtening snd curling or waves if you change your techique a bit so it is literally a 3 in 1 also if you curl your hair with a curling iron i find that the curls stay in place for longer. I know GHD's are very pricey but it is really worth it and excess heat to hair can be so damaging to the hair so it is best to buy the best in my opinion. I have had my GHD for over 2 years now and its still going strong and I have been in looooove with it since day one! Ceramic hair tools have been proven to be the best in terms of protection of your locks and also at providing even heat distribution to style better. The one downfall is that it does not have any heat setting I'm not if it is because it is an older version. But otherwise LOVE LOVE LOVE this!